THAILAND Arthit Suriyawongkul, a blogger from the Bangkok-based Thai Netizen Network, works to protect Internet freedom and digital rights. When I first met Tuyen* in the summer of 2013, she shook my hand and smiled nervously, her eyes darting left and then right, right then left. She scanned the area around us, flicking her glance past my shoulders. You could see it in her eyes: the alertness, the taking in, the careful calculating that becomes habit to someone accustomed to being under surveillance. We were in Manila, one thousand miles across the Pacific Ocean from her home in Hanoi, but fear had followed her. 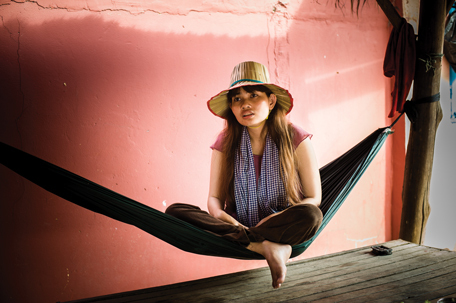 By then, she had been living in exile for nearly nine months—one among Vietnam's numerous bloggers forced to flee because they'd exercised a privilege that many of us in the United States take for granted: the right to speak freely. The joke refers to Vietnam's record of being the second biggest jailer of bloggers in the world, following China. Tuyen was certain that had she remained in Vietnam, she would have been arrested for blogging about a range of controversial social, environmental, and political issues in her country. Around the world, bloggers, journalists, authors, and activists are being targeted for exposing injustice. Recent brutal attacks on freedom of expression propelled the issue into the global spotlight: the massacre of political cartoonists at the Paris-based satirical magazine Charlie Hebdo; the deaths of Steven Sotloff and James Foley, American journalists who were among the more than seventy journalists killed covering the Syrian conflict; and the death of Egyptian poet Shaimaa el-Sabbagh, who was shot by Cairo police at a peaceful gathering to honor slain activists in Tahrir Square. The world remains outraged about these high-profile attacks on freedom of expression, yet few of these reports focus on Southeast Asian countries, where those who speak out publicly about wrongdoing or voice criticism of their government are quickly silenced. For instance, just one day after the slayings at Charlie Hebdo, Nerlita Ledesma became the first journalist murdered in the Philippines in 2015. Local media reported that she was shot four times in the chest by unidentified gunmen on a motorcycle while waiting for a ride to work. Though the motive for Ledesma's death is still unclear, attackers had targeted her home two years ago, spraying bullets that barely missed her daughter. If her death is determined to be work-related, she will have been the 172nd journalist murdered in the line of work in the Philippines since 1986, according to the National Union of Journalists of the Philippines. 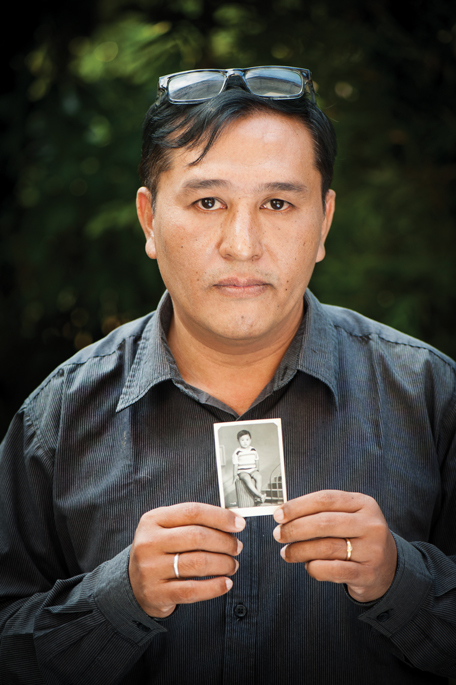 MYANMAR Lin Thant, a journalist for The Irrawaddy, holds up a photo of himself as a young boy. The forty-four-year-old journalist spent more than nineteen years in prison. He was arrested while in college when he protested against the Burmese government. Three of his friends were shot and killed during the protest. How many people have heard about Sombath Samphone, a much-revered Laotian environmentalist who disappeared in 2012 in a state-sponsored kidnapping for making too much ruckus about injustices endured by Laotian farmers forcibly evicted from their homes? Or Chhut Vuthy, a Cambodian activist who was found in the trunk of his car, shot dead for trying to expose illegal logging in his country? Or that the Philippines ranks third in the world among the deadliest for journalists, according to the Committee to Protect Journalists? That such attacks across Southeast Asia continue unabated and largely unreported by mainstream media is a big reason why I left my safe, quiet life in Northeast Portland and returned to the region in 2013. My year-long assignment with the international nongovernmental media organization Internews was to find ways to support journalists in their efforts to expand freedom of expression since voices of dissent are increasingly being muzzled by threats, intimidation, and by the ultimate attack on free speech: murder. The project covered the ten countries that comprise the Association of Southeast Asian Nations (ASEAN), including Cambodia, the country where I was born forty years ago. Researchers were dispatched across the region to canvass each Southeast Asian nation and collect information for what would become the first large-scale regional research on media and information ecosystems, with a focus on the current state of press freedoms. Through the project, I learned that I couldn't escape the fact of my own legacy, which set the path for the rest of my life. After leaving a career as a newspaper journalist in the United States, I spent the better part of the last decade working abroad with writers and journalists in places like Cambodia, Afghanistan, and Bangladesh. All the while, I made draggy stabs at living back home in the United States, with a more valid attempt to settle when I bought a house in Portland. But living in Portland and sitting at my favorite coffee shop writing about war and injustice with a soy latte warming my hands didn't feel quite right. I had unfinished business back in Southeast Asia, back in Cambodia, where, more than forty years ago, journalists were among the first to be slaughtered by the Communist Khmer Rouge regime, launching the country into a four-year information blackout. In the darkness that presided over the country, unimaginable horrors unfolded. More than 1.7 million people died. The world remained largely oblivious to Cambodia's killing fields because the Khmer Rouge had so carefully created a closed, informationless society. And because the world was emotionally fatigued by the Vietnam War and tragedy in Southeast Asia. And because the storytellers, by then, were dead. MYANMAR Mon Mon Myat, a filmmaker and writer, is currently producing a documentary film on political opposition leader Aung San Suu Kyi. She believes journalism is a way for truth telling and a necessity to get information to the people. “Is there anything you would die for?” I recently asked my best friend, Kim Nguyen, an award-winning photojournalist working for Internews to take images for our freedom of expression and right to information project. Kim's family, of Vietnamese origin, hails from Laos. 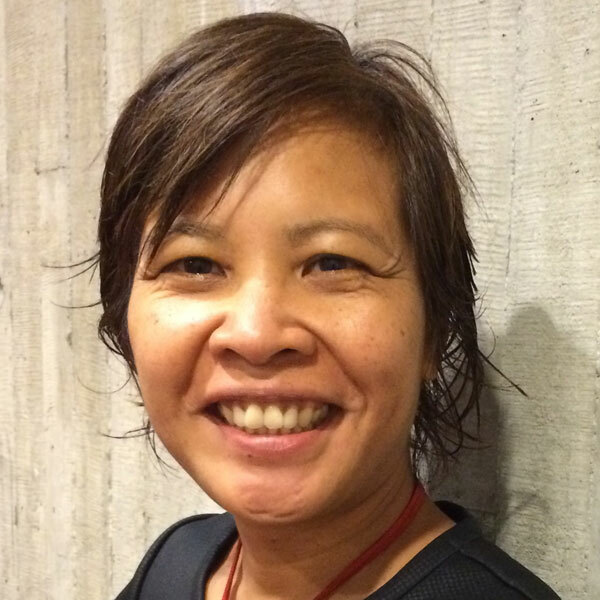 When Viet Cong infiltrated her family's village in Laos, they knew they had to flee. The Communists had taken over and began initiating authoritarian policies. Kim was six years old when she and her family fled under the cover of dark by boat across a floodplain that fed into the Mekong River. Just days before the escape, her mother had bought her a pencil for school. With that pencil, Kim's aunt wrote on the back of a photo—the only one that survived the war—that Kim had just turned six. 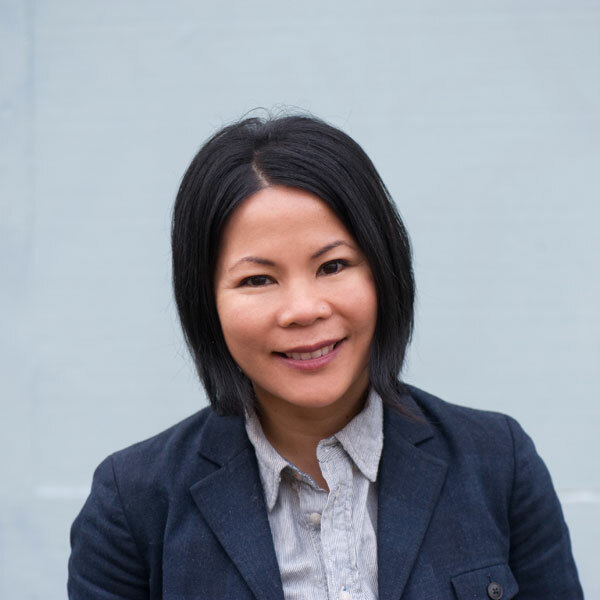 Kim's family settled in Portland, starting one of the city's first Vietnamese markets. It still exists today on 82nd Avenue. My family left Cambodia in 1975 just as the murderous Khmer Rouge regime took control of our country, fleeing on a Cambodian navy vessel built for a crew of thirty-five. Instead, nearly three hundred people crammed onboard for a twenty-six-day odyssey at sea that took us to the American naval base at Subic Bay in the Philippines. We were granted asylum and wound up in Corvallis. Kim and I met while journalism majors at the University of Oregon. While enmeshed in core curriculum focused on the First Amendment, we eventually collaborated on a feature story for Flux, the journalism school's magazine. On UO's predominantly white campus, we examined the challenges Asian Americans face straddling two distinct cultures. Working on the story helped us examine our own lives and experiences with war. Some twenty years later, Kim and I teamed up again and traveled across the Pacific Ocean, back to our respective origins, and faced again the duality of straddling two distinct cultures and countries. In our adopted home of America, we could pursue our professions, unafraid to cover any story, free to write and photograph anything we wanted. In our birth countries, however, journalists like us were being beaten, threatened, harassed, or worse for doing the same thing. 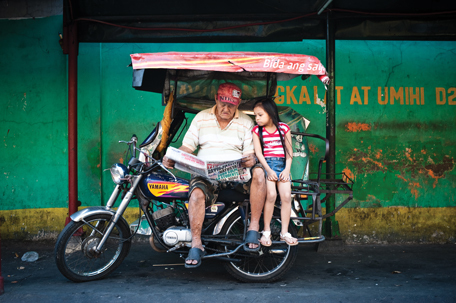 PHILIPPINES Eighty-three-year-old tricycle driver Demetrio S. Legaspi from Manila reads the paper every day, sometimes with his granddaughter watching. He reads all the newspapers he can get ahold of. Going back to our homelands to help was fraught. We felt the attacks on our fellow journalists keenly and deeply. We appreciated the value and urgency to defend freedom of expression in a way many of our American colleagues couldn't. We learned in journalism school about American journalists willing to go to jail to protect their sources and to honor their profession. We learned in Southeast Asia that freedom of expression is a matter of survival, that journalists risk their lives to defend their profession because the truth is sometimes all they have. Early on, Kim and I understood that solving the region's worsening situation for freedom of expression and diminishing human rights was an impossible task. But there has to be a first stirring. Every effort toward improving freedom of expression in Southeast Asia and in the world builds toward the next. And Kim and I both met extraordinary bloggers, journalists, and activists who were all part of that start. With American passports and all the accompanying privileges, we were returning to see our people still stuck in a cycle of injustice and increasing human rights abuses. In the Philippines in 2013, I met Grace Albasin, a newspaper editor who goes to work each morning wondering if she is going to live out the day and return home safely to her family. Albasin knows too well the dangers of her profession, particularly in the Philippines. When I met Albasin, she spoke of the democracy in the Philippines and how her country is viewed by media colleagues and society in the region as a bastion for free press, whereas tight state control of the media in other countries in the region means that journalists regularly practice self-censorship and avoid getting on the radar of authorities. Albasin said freedom of expression comes at a high price in the Philippines, where journalists can and do express themselves openly and fervently, only to be targeted by those they dare expose in the public spotlight. Meanwhile, journalists' deaths in other countries in the region such as Burma and Laos are sparse because journalists there are often too afraid to speak up for fear of retribution by reigning regimes. In Cambodia, Kim photographed unintentional advocates of freedom of expression who began lobbying for the right to protest after being forcibly evicted from their homes in the capital city, Phnom Penh, to make way for a business owned by a senator's wife to redevelop the site. The protesters had endured attacks by water cannons while demonstrating against forced evictions in the Boeung Kak Lake area of the capital. Several of the women who chose to speak up consequently ended up in jail. Kim also photographed Burmese journalist, Lin Thant, a commentator and senior reporter with the newspaper The Irrawaddy, who returned to his journalism profession after serving nineteen years in a Myanmar prison. He managed to survive on a starvation diet. He had no way to speak up, no way to protest as he was beaten and poorly treated, so instead he began to eat, piece by tiny piece, the newspaper wrappings of Burmese cigarettes smuggled to him into jail. He gleaned what bits of news he could from those small wrappers and ate the pieces to destroy the evidence. CAMBODIA Land activist Youm Bopha spent over a year in prison for protesting against the government's plan to lease to a private company the land surrounding her community, the Boeung Kak Lake. Bopha and thousands of other residents were forced off their land. Throughout the project, Kim and I grappled separately with the same dilemma of duality: We came from that part of the world. Our families put their lives on the line to bring us to safety and freedom. Now, with American passports and all the accompanying privileges, we were returning to see our people still stuck in a cycle of injustice and increasing human rights abuses. Our return as journalists was a reckoning of sorts, a way to come full circle in our own lives and legacies, a way to use our escapes to help other journalists like Tuyen shape their countries' narratives. We knew we couldn't solve the problem of shrinking freedom of expression in Southeast Asia in a single year. But we wanted to be part of the start. The Vietnam War from which Kim's family fled unfolded more than forty years ago. There is a new war in Vietnam and across the region—the war on free speech. And in Cambodia, the authoritarian regime of Prime Minister Hun Sen has clearly taken a page from neighboring Vietnam by scrupulously clamping down on viewpoints that differ from the ruling party line. When I think about my hope for the pendulum to swing back the other way, for Cambodia and Laos and Vietnam to have functioning democracies and true freedom of expression, I think of Tuyen. Like Kim and me, she was forced to flee to safety so that she could continue to speak up and speak out. Also like us, she has committed the rest of her life to the cause. When my friends ask me how they can help the situation, I tell them simply: When you see an injustice, use your voice. If you can, do something. But at minimum, use the privilege you were born into, the right to speak freely. Speak. And if you can, speak up. Notes: Tuyen is a pseudonym to protect the identity of the exiled blogger featured in this story. All photos in this story appear courtesy of Internews. Kim Oanh Nguyen is an award-winning photographer based in Portland. She has worked for the Internews Network, USAID, and other publications. Fantastic piece done by incredible journalist. Thank you both for you immense efforts.